If you like to watch the weather then this is a modern way to do so. The sensors do not have screens. The internal one is plugged in and needs power to operate. The external one is battery powered but it ensures that you have an accurate reading of the temperature and humidity outside. It syncs with your ipad, iphone, android and windows 8 phones. I have internally measurements on temperature, air quality, pressure, humidity and CO2. CO2 does have a light to warn when CO2 levels are too high. The only CO2 alarm I had was an utter pain and went off day and night for no reason. If you press the top of the internal one it will flash green and upload a new reading. You can see readings from all over Europe so you could even see a different part of the same city to check the temperature. If you are going on holiday no need to rely on a forecast you can see the temperatures in the local area. The more people who have the Netatmo weather station and upload the information, the more detailed picture that will build up over time. You can see various charts and get full details of the trends. 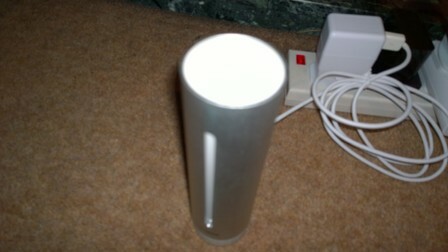 The outdoor sensor is sensible as no need to peer out the window to see if it is raining it will know for you. 7 day forecasts are available too. What is an unusual is that the internal sensor has a decibel reading. It’s nice to see something different on a weather station and this is an interesting added feature. You can pick up your readings from multiple devices which are updated every 5 minutes. This combined with the app controlled heating systems is really going to help plan for when you need the heating most and to save money. Quick and easy to set up so easy to be up and running on your wi fi system. 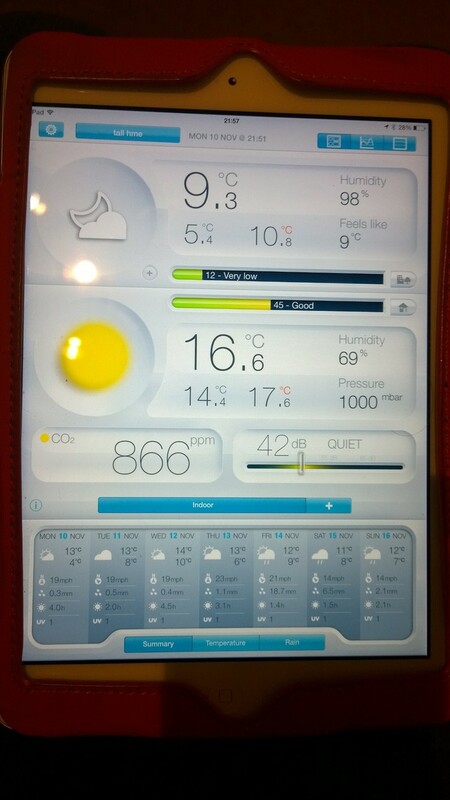 Garry also points out that this is the only Weather system with clients for Windows Phone as well as iPhone and Android. Netatmo also provide a great application interface so programmers could integrate this system into other home automation systems. Garry was easilly able to add readings from the sensors into the VoxCommando system he covered a few issues back. For the person who loves to keep track of the weather in your family this is a great addition and the perfect present.